As soon as we walked into our home for the first time, I started dreaming. I should start out by saying that I am Miss Practical. I have always been a very practical person, and so this house dreaming and designing side of me surprises me. I never imagined I would care about a house, let alone be excited and passionate about decorating one. But now, here I am... dreaming and planning and pinning and changing. I am so excited to see the design... my design... come together. I'm so thankful for this creative side that God has given me. 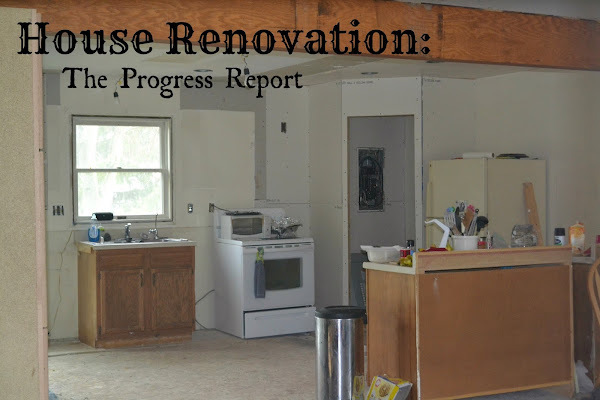 He's been so good to awaken within me a desire to remodel this house, to give me an eye for design, a husband with skill, and money to make the upgrades. We are working on the kitchen and living room first. 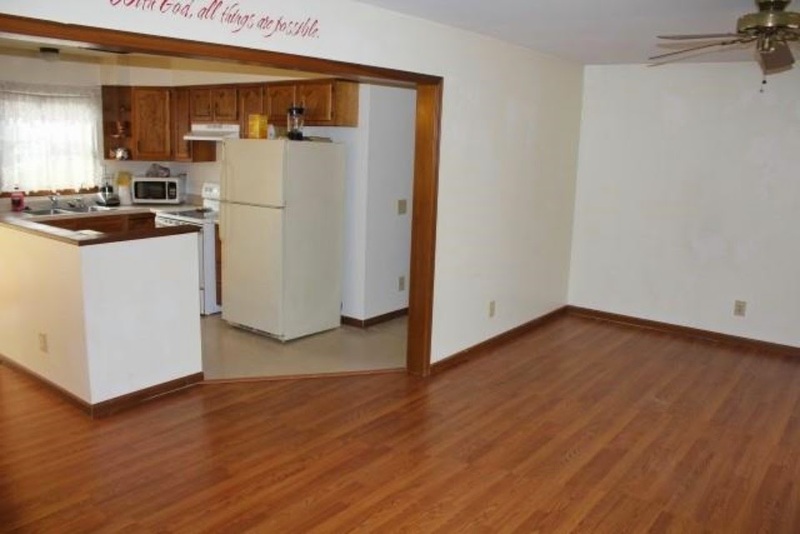 The kitchen was tiny, there was a wall between the living room and kitchen, and two other small weird walls. 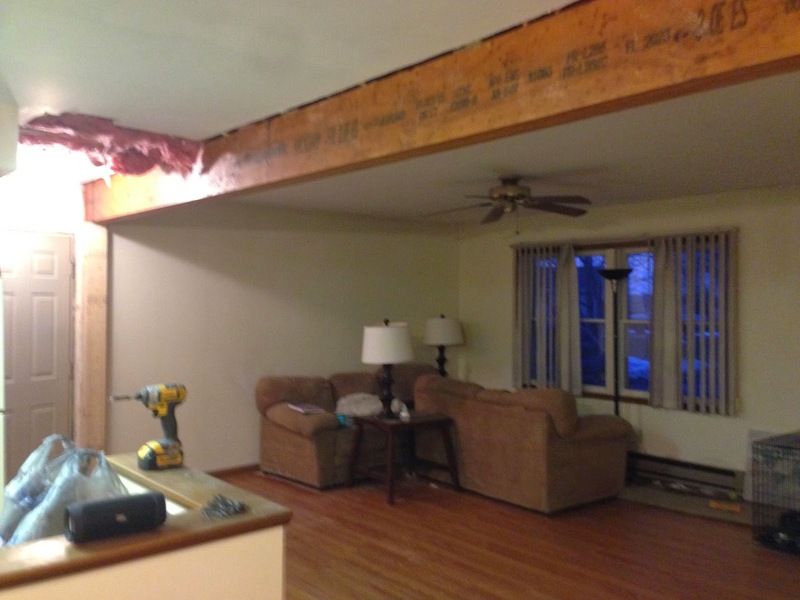 The first thing we did was tear down the walls and add in a beam to hold up the second floor. The idea was mine, but the work was definitely all my husband's! Yay for open concept! 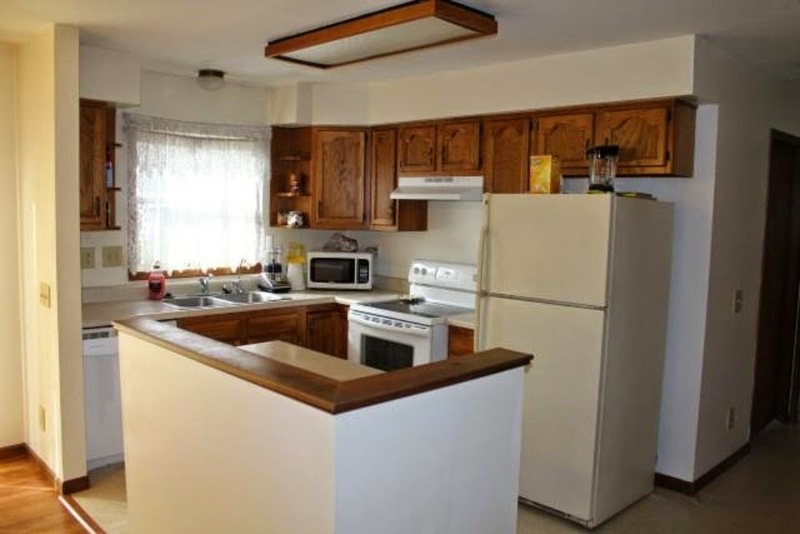 Behind the kitchen was the laundry room. We're moving the laundry room in order to extend the kitchen. So we knocked out those walls as well. What do you think of the light on the ceiling in this picture? Do you think we should keep it? I mean, it'll come back in popularity in about 20 years, right? Just kidding... it's gone. No tears shed. Once the laundry room was moved and the kitchen expanded, Ben built a corner pantry and added in can lights. Meanwhile, I did the hard work of trekking 3 hours to the nearest Ikea and did some shopping. Always willing to take one for the team! There will definitely be some goodies from this store that show up in my house! I also really did do some work. I painted all of the cabinets! I enjoy painting though, so I didn't mind. I'm so thankful for warmer weather so my girls could play in the garage while I painted! I've given up on keeping my two-year old from getting paint on her clothes, though. We've been living in a bare necessities kitchen and living room for two weeks now as our mudders had a family emergency and ended up not being able to come. But this weekend we finally were able to get a different mudder to come, and so next week we should be able to start painting and putting the kitchen back together! 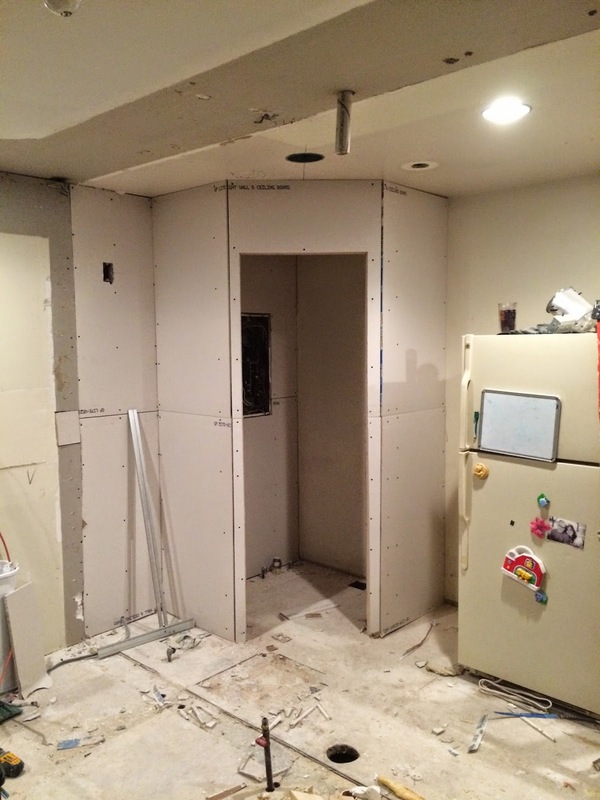 I'm so ready for more progress, but until then, here is a picture of the current state of our kitchen.